Gigi Leung Wing Kei and Isabel Chan Yat Ning yesterday worked on the Lunar New Year film MISSBEHAVIOR on the streets of Wanchai. 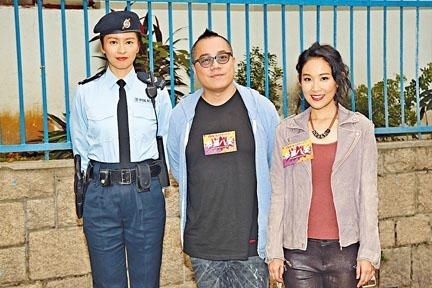 Playing a patrol cop, Leung Wing Kei was lead actor Pang Ho Cheung's former girlfriend. She revealed that in the film she had a lot of argument scenes, but she would not spoil whether she was "misbehaving". In uniform, Gigi had to wear a jacket to cover her costume. She had to watch what she was doing to keep people from mistaking the real police and affecting the police mage. However some pedestrians also recognized her. She told them that she was working on POLICE REPORT. 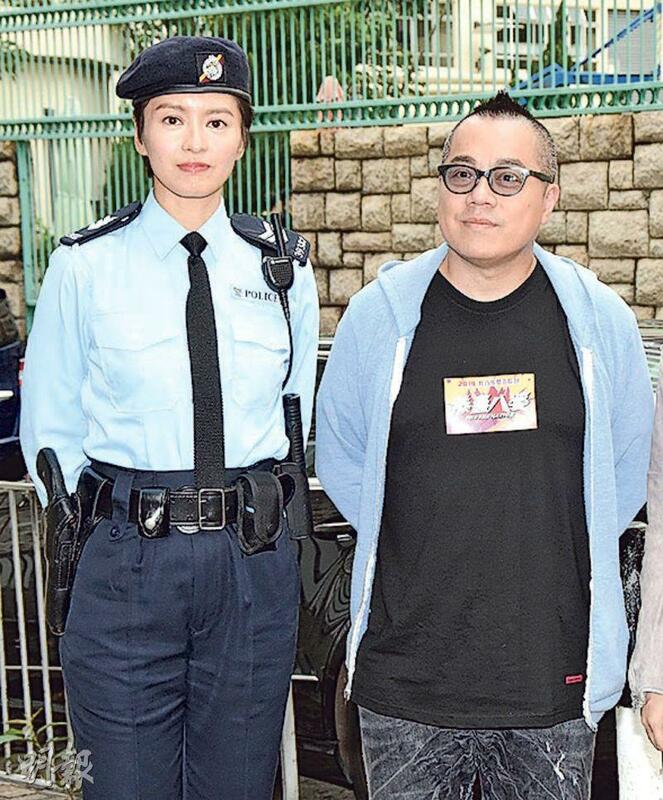 Pang Ho Cheung said that he would ask whoever he felt was suitable to guest star, so far he has confirmed Patrick Tse Yin and Miriam Yeung Chin Wa. Shawn Yue Man Lok however had to check his schedule. "Other Lunar New Year films have already wrapped, I have to play catch up and finish before the 22nd. Post production takes time." Speaking of Golden Harvest founder Raymond Chow Man Wai's passing, Pang Ho Cheung said, "I was very surprised, Louis Cha is gone! Chow Wai Man passed away as well! I am very saddened and very shocked. My first film as a director YOU SHOOT I SHOOT (MAI HUNG PAK YUN) only went into production due to Chow Man Wai's support. He believed in me and even left it all up to me. I am rather grateful to him. The last time I saw Chow Man Wai was in 2006 when YOU won Best Film. At the time Chow Man Wai was present." Speaking of Yammie Nam Kit Ying, Pang Ho Cheung said that he has never worked with her but he really liked THE GREED OF MAN. He said, "She was pretty and her acting was great, it's quite regrettable!"